iOS, as we know, is an inherently restricted operating system, and one instance where this is perhaps most apparent is when using the keyboard. Of course, the predictive text system has been massively improved from those early generations, but with other mobile OSes allowing users to switch keyboard as easily as changing socks, the lack of customization can make using the iOS keyboard a cumbersome experience. For those jailbroken, all is not lost, and if you regularly use special characters and don’t like having to jump between different pages to find them, help is at hand thanks to a jailbreak tweak called AltKeyboard. If you wish to use a special character in iOS, invariably the quickest way to find them is to jump between the different segments of the keyboard, which are separated by category. On the first page, you get your letters, with numbers and some special characters on the next page. Scratching around for that special character is not a very good use of your time, and when you’re used to typing several words a second, the waiting period is as annoying as it is counterproductive. AltKeyboard enhances functionality and nullifies the time-wasting by allowing you to view special characters very easily by simply flicking the letter in question. On each key, you get your standard input symbol, and atop each one, you’ll see a grayed-out special character. Simply tap the button, swipe up, and instead of the original character, the special, grayed-out symbol will appear within the app you’re using. 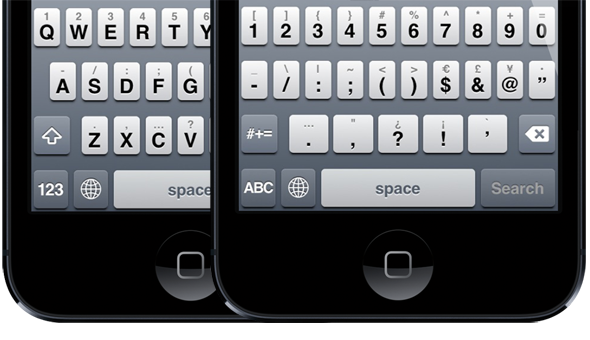 The jailbreak scene has already brought Swype-like typing to iOS natively, and although AltKeyboard is not exactly on par with that kind of functionality, it does allow you to type with less interruption, and saves you a precious few seconds to check your Twitter feed carry out other, more important tasks. I really like it, and although there’s little chance of Apple allowing for custom keyboards at stock level anytime soon, AltKeyboard-like improvements with iOS 7 would certainly be more than welcome. It costs 99 cents over at the BigBoss repo, so download it, give it a whirl, and be sure to leave your thoughts and comments below.